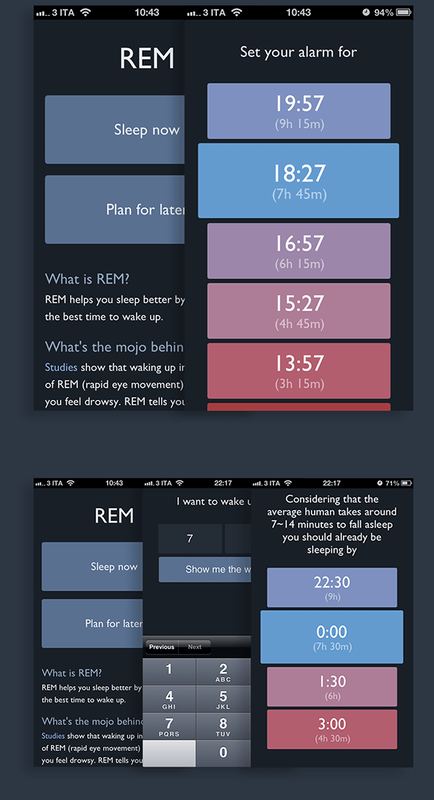 REM is a web app that helps you sleep better by showing the best time to wake up. It also works offline so you can sleep at your best everywhere. You can try it live here (best on your phone).